Conflict can be a healthy productive way of stimulating change and creating an environment where innovation is encouraged. If not properly managed, it can also be extremely destructive to team building and communication. 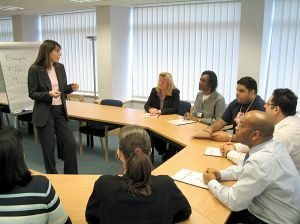 The Mediation Centre can custom tailor a mediation training program to help managers and/or workers develop important skills for resolving destructive conflict in the workplace. We develop and provide training programs to our clients specifically designed to meet the business needs of the client group.